HTML & CSS: Learn to create gorgeous web pages and captivate audiences with HTML5 and CSS3. Ruby on Rails: This dynamic duo of language & framework is one of the most widely used and polished modern technologies for web development. Automated Testing: Focus on code quality and maintainability by getting comfortable with the tools, methodologies and best practices of automated testing, including test-driven development. Software Architecture: Become a true full-stack web developer and learn best programming practices, from good database modeling to abstraction and well-encapsulated code & modular design. Responsive Design: Create beautiful sites & web applications that scale on any device, including iOS, Android, and other major platforms. Best Practices: You’ll learn how to approach problems by conquering errors and roadblocks through rapid experimentation and iterative building. 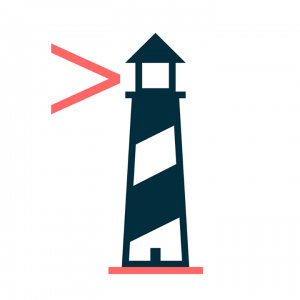 I never imagined I'd be able to create websites by myself, but Lighthouse Labs got me there. I just started an internship at a large tech company as a front-end developer (I didn't have much work experience before starting), and I love it! The internship program hires more than 90% of the people who are accepted into the program for full-time positions. I want to thank everyone at Lighthouse for this incredible experience and I'll definitely be back to learn even more advanced development skills soon. First of all, big shout out to Course Compare for helping me find Lighthouse Labs! They recommended I learn the basics of HTML/CSS on my own -- I'm not sure I would have survived without the pre-course prep. I'll admit I struggled through a few classes anyway, but today I'm employed by an amazing startup and working on fascinating projects. I worked hard, and things really began to click for me after the first month. The best thing about my experience was easily the instructors and mentorship I received. I came to the bootcamp with a four-year business degree and about a year of experience in the financial services industry. Having experts in my court who could coach me not only through coding challenges but help me understand the job market for developers was incredibly helpful. I think I'm a rare case, but I had a job offer within a few days of Demo Day (when you display a portfolio project to employers that the school invites in house). Others students took longer, but about 8/10 students had job offers within two months after graduation. Needless to say Lighthouse Labs helped make a tough career transition a whole lot easier. Now back to work! Which should I take: the Intro course or the Bootcamp? Ask yourself: "Do I want to work as a professional developer?" If the answer is 'yes', then there is no question that the full-time development bootcamp is the program you need. The goal of our bootcamp is to transform you into a professional full-stack developer. You’ll come to understand coding logic, and learn how to think like a dev by building software from the ground up using industry-relevant technologies. Our program will provide you with mentorship, data-driven curriculum and a top-notch learning environment that will launch you into your first junior developer role. If the answer is 'not sure', taking our part-time course might be the best option. Who should take part-time courses? Once you are accepted into a cohort, your place in the program will only be reserved once we have received your non-refundable deposit. Deposits can be paid by credit card, and we are able to accept cheques, wire transfers, bank drafts, or cash for the remainder of your tuition. Your tuition is due 2 weeks before your start date. Can I come to Lighthouse Labs as an International student? Yes, you can come to Lighthouse Labs as an international student! There is no additional tuition cost or restrictions for people applying from outside of Canada. We have had many students come to Canada for our Bootcamp on a visitors visa, however you are entirely responsible for making any legal arrangements for staying in the country. Lighthouse Labs is not able to assist in securing working permits, and your eligibility to work in Canada will entirely depend on you securing the proper documents. If you are able to obtain a working permit, you'll be able to take full advantage of our Career Services opportunities! How does Career Services at Lighthouse Labs work? At Lighthouse Labs our guiding belief is that over 80% of training will be learned on the job, and the first year of working as a software developer can be seen as paid high-intensity training. Our dedicated Career Services team is here to guide our students into their new roles. They work with all students to identify their career goals, and help them jump from classroom into the real world ASAP to continue honing their skills.